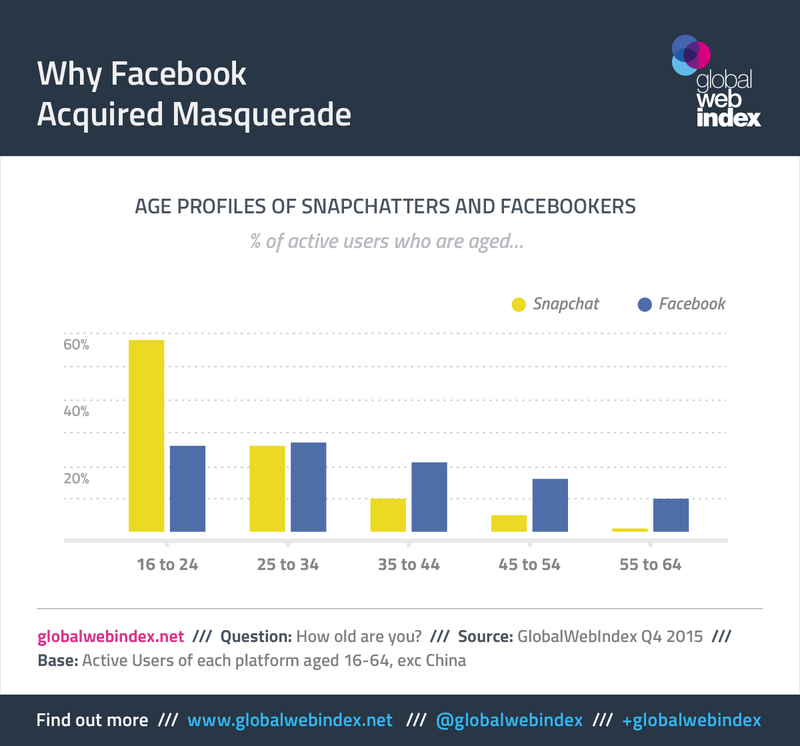 In this guest post, GlobalWebIndex's Felim McGrath shares his thoughts on how Facebook's recent acquisition, Masquerade, can help the platform compete and remain relevant in the fast-moving, ever innovative social marketplace. When Even Spiegel turned down an estimated $3 billion takeover bid by Facebook in late-2013, many commentators were quick to criticize the hubris of the Snapchat CEO. But the intervening years (and steadily increasing valuations) have proved Spiegel & Co. right. Now it’s Facebook that is playing catch-up with the innovations of Snapchat. The recent acquisition of Masquerade is a prime example – this app allows users to integrate filters into their photo or video messages, a function that has proven popular on Snapchat. Facebook is no stranger to creating or purchasing features that resemble those offered by other apps but why is it so keen to ape the functionality of Snapchat? One obvious reason is found in the demographics of these competitors’ user bases. Facebook may have its powerful ad tech for targeting specific demographics across its platforms but Snapchat can boast that well over half of its users are from the 16-24 group, and a significant 83% are under 35. In contrast, just 26% of Facebook’s audience is aged 16-24, and it posts much higher figures among older age groups - a natural consequence of it being the most popular network globally, and the one that older internet users are therefore most likely to have joined. 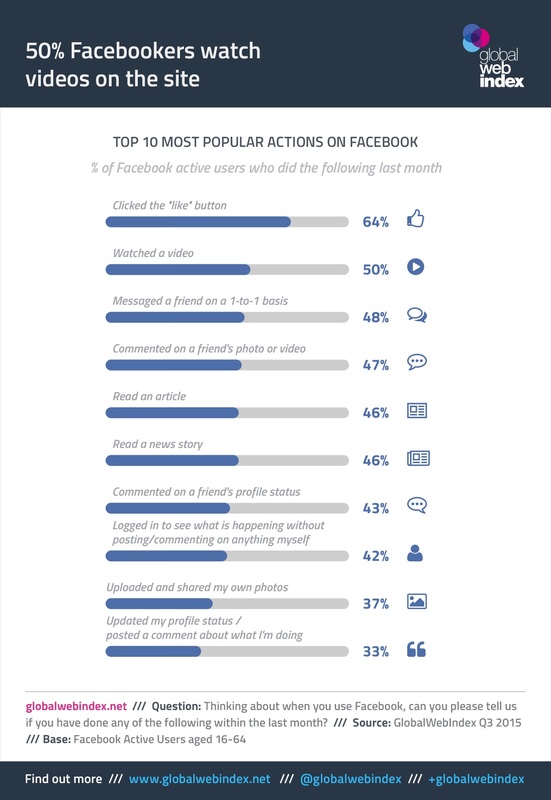 By introducing features that have proven so popular among the younger users of Snapchat, it’s clear that Facebook is hoping to stay relevant and appealing to a young, trend-setting demographic. But there is another, somewhat related, competition going on here. Snapchat may have built its reputation on photo-sharing, but it’s clear that video is the future of social media. Smartphone ownership is almost universal among internet users and 4G usage is rapidly becoming the norm for this group. Snapchat is shouting loudly about its video-viewing figures but one thing that Spiegel services doesn’t have is the global reach of a giant like Facebook - Snapchat may be able to claim impressive figures among young age groups in Europe, North America, the Middle East and Australia but its impact on the rest of the world has, so far, been limited. 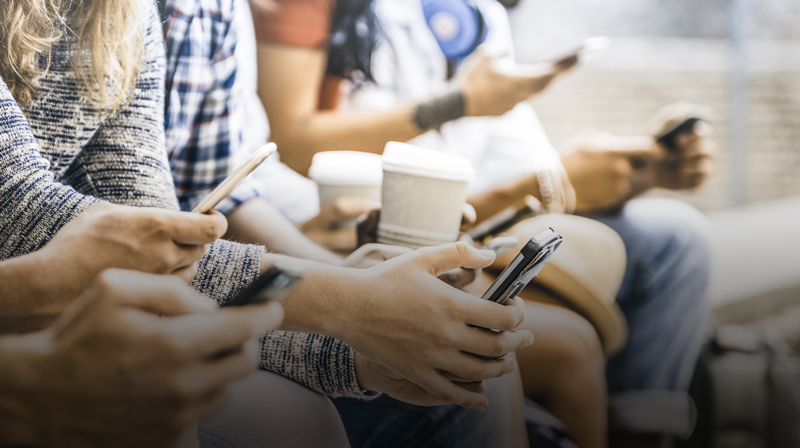 In contrast, it’s now 8 in 10 internet users outside China who have a Facebook account – and GWI’s research has shown that half of Facebook’s active users are already watching videos on the network. Whatever network can build out the most popular video functionality will steal a march on their rivals in the coming years. However, perhaps the real winner here is the Masquerade team, who created a buzz-worthy app but could have easily suffered the same fate as Meerkat, the pioneering live-streaming app that was forced out of the business when the bigger players, like Twitter and Facebook, brought their own live-streaming products to the market. By entering into the Facebook fold, Masquerade ensured the work they put into their product wasn't wasted and added yet another aspect to the social media arms race between Facebook and its rivals.